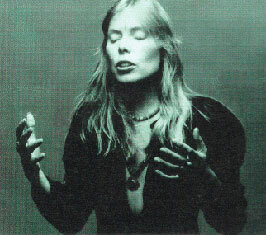 This lithograph is one of three different images made in 1976 by Joni Mitchell during the release of her landmark album Hejira. Each image was printed in a limited edition of 100 and sets of all three were given away by her as Christmas presents to friends and family that year. 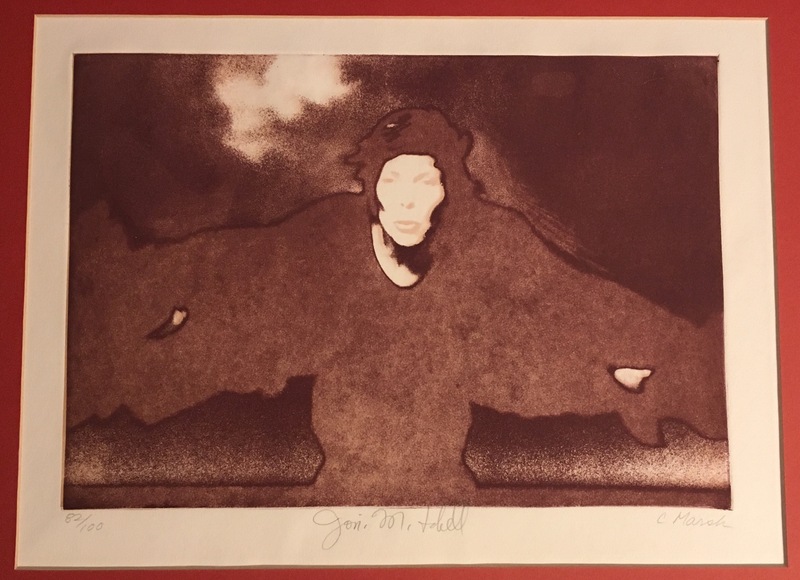 This print is from a set numbered "82/100" and signed by Joni as well as the printmaker Cynthia Marsh. The back side of each print is stamped "Chemistry" and includes the names of all the people associated with the Hejira artwork. Hello, I love this set of 3 'Chemistry' lithographs and would like to know if anyone might have any of them available to sell, in particular if the one of Joni skating along the river into the distance is available anywhere? Thanks.